This section of our S.P.A. website is dedicated to recognizing God’s love for all of us. We need to praise Him everyday for everything that we have. We hope you enjoy this section as it is intended to be a place of encouragement and loving spirit for one another. Remember this is your section too. If you have any up lifting stories, testimonies or words of encouragement please send them to us at our National Office (Address Below) and we will share them with others. 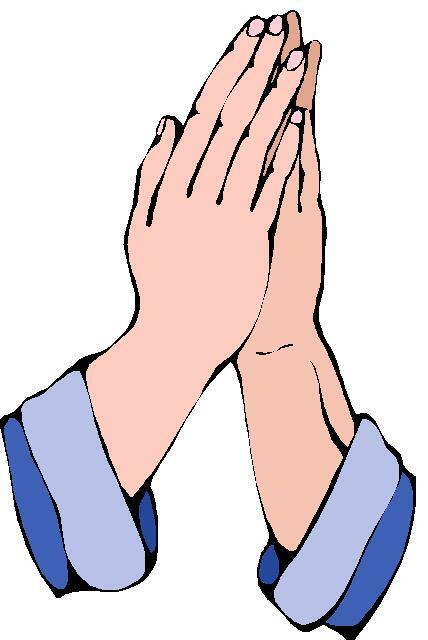 If you have special prayer request please send them too and we will post them on our National Prayer Chain. 2/28/2019 Please join us in prayer today as our Executive Director Ridge Hooks undergoes back surgery. Ridge has been suffering from back pain for some time now. Please pray with us that his doctor's be guided in helping him find relief! 7/16/2018 Please join us in prayer for Ho Hoffman, long time SPA Director, News Editor, and Friend. Ho was hospitalized today, however, no further information is available at this time. 6/04/2018 Please join us in prayer for Gary Schreiber, the brother of Judy Lee Schreiber our SPA Women's Director. Gary, has taken ill and is in need of our prayers. 1/05/2018 Please join us in prayer for the family, friends, and team mates of Doug Lowrey, from Ft. Smith, AR. Doug was a long time Senior softball player, coach, and sponsor. 9/24/2017 All of us at SPA, especially the office staff, are asking for prayers for one of our own, Alicia Floyd. She was in an accident yesterday and is in critical condition. Alicia is often the one that answers the phones at the office, and she takes care of the player cards and answers all your questions. Many of you have come to know her very well. Please keep her and her family in your prayers during this difficult time. 5/12/2017 Ray Kozusko Shares: Prayers are requested for "Nick" Nicholson who is battling inoperable cancer in several areas. Request for prayers and the Lord's comfort for Nick and his family in this time of need. Nick was a long time player for the Texas Legends and is currently a member of Hill Contracting 75s. 2/03/2017 Charles Gamble Shares: I know several of the older softball players from the Dallas area remember Sandy Sanderson. I talked to his wife Martha last week and Sandy is not doing well. He has dementia and he has a home health care nurse that comes in to bathe him and dress him. Additionally his balance is not good and he falls from time to time. Please remember Sandy and Martha during this difficult time. 7/29/2016 Millie DeSorbo, wife of SPA Director Mike DeSorbo has battling extended recovery from knee surgery. Please join us in prayer for Millie. 7/25/2016 Please join us in prayer for Wally Hooks. Wally is the brother of our Executive Director, Ridge Hooks. Already being treated for cancer, he was hospitalized this week with severe heart problems. Please lift the entire Hooks family up in prayer. 12/03/2015 Please join us in prayer for Jack Ellis. Jack is a long time friend of SPA, and has recently been diagnosed with cancer, which has spread to several organs. 11/16/2015 Please join us in prayer for our friend and long time supporter of Senior Softball, Terry Hennesy from SSUSA. Terry has been diagnosed with prostate cancer. 11/12/2015 Please join us in prayer for Ted Lawson. Ted has been hospitalized and in and out of ICU with a serious infection resulting in meningitis. 6/29/2015 Please join us in prayer for Ho Hoffman. An SPA Tournament Director and Editor of our SPA Newspaper, Ho has been hospitalized and is currently in ICU. 6/19/2015 Please join us in prayer for Steve Hall, player with Tennessee Senior Softball. Steve has been diagnosed with Brain Cancer and is in need of our prayer. 4/10/2015 Judy Lee Schrieber (SPA Women's Director)was returned to the hospital today with continuing effects of her heart attack. Please continue to join us in prayer for Judy, her friends, and family. 4/07/2015 SPA's Women's Director Judy Lee Schrieber was hospitalized this morning in Hendersonville with stoke/heart attack type symptoms. Please join us in prayer for successful treatment, and for her rapid recovery. 3/24/2015 Please join us in prayer for the family and friends of James (Buddy) Hopper. Buddy passed away 3/15/2015. A long time supporter of SPA and Senior Softball, Buddy will definitely be missed. 1/20/2015 Please join us in prayer for our Executive Director, Ridge Hooks. He has been hospitalized with an as yet undiagnosed ailment, and is currently in ICU in Oklahoma City. Please pray for Ridge and Ann for a speedy recovery. 12/18/2014 Please join us in prayer for Wally Hooks (Ridge's Brother). Wally has begun his third bout of fighting liver cancer. 12/09/2014 It is with fond memories, but great sadness that we have received notice that Art Whitaker of Garland, TX, passed away on Monday night, Dec. 8, 2014. Art was a lifelong softball enthusiast, and sponsor of the SAWTRE Texas Legends and SAWTRE USA teams in the late 1990's. Memorial service information will be posted when we receive it. Please remember Art's wife, Glenna, and sons Steve, Scott, and Stuart and their families in your prayers. 11/19/2014 Please join us in prayer for Steve Winfree. Steve has been out with severe strep throat all week and if he can't get the fever down today then he will be going to hospital because of the damage its doing to his kidneys that are failing. 11/17/2014 Please join us in prayer for Jerry Hinton, long time SPA Coach and Director from the Kansas City area. Jerry has been hospitalized with a perforated colon as well as additional complications, and is currently undergoing surgery. 10/30/2014 Prayer request. John Douglass of Beebe, Arkansas, is seriously ill from cancer. He is in Little Rock Baptist Hospital, Room 1023. Please remember him and his wife Martha in your prayers. 6/06/2014 Please join us in prayer for Nancy Veahman (our assistant Women's Director) and her family following the passing of her brother Kenneth. 5/27/2014 Bobby Swilley with Extreme Heat in Georgia, has been hospitalized and is fighting cancer. Please join us in prayer for Bobby and his family. 5/19/2014 Please join us in prayer today for Moman Bates step daughter DeLeah. She has been hospitalized with very serious heart problems. Please keep DeLeah, Moman, and their entire family in your prayers. 2/18/2014 Ted Lawson, SPA Director from Glen Burnie is recovering at home from a recent stroke. Please keep him in your prayers. 2/18/2014 Joe Perryman was admitted to the Baylor hospital early this morning after 7 hours in the emergency room. He couldn't keep any food down and his stomach was enlarged. They are pumping his stomach and will then try to flush out the blockage that is causing the problem. He is feeling so much better now. Please keep him in your prayers. 12/29/2013 Susan Wade's Surgery I'm happy to report to you all that Susan's surgery yesterday, while taking longer than expected, went well and she is resting comfortably in the Tanner Medical Center in Carrollton. Truman did not know how long she would be in the hospital yet, but according to info I found on the Internet, her type of surgery typically requires a three day stay. I'll send out an update to you on her situation/condition as warranted. If you would like to send her a get well card her home address is 123 Greystone Dr., Bremen, GA 30110. 10/07/2013 The SPA Office just learned that Layla Bryan had a heart attack over the weekend and is currently hospitalized in Texas. Layla is well known and loved throughout the softball community, and is SPA's Assistant Executive Director. Please keep Layla and her family in your prayers and pray that she has full recovery. 8/23/2013 The SPA Office just learned that Debbie Long's father had a stoke. Debbie was on her way taking him to the hospital. Please keep Debbie and her family in your prayers and pray that her father has full recovery. 6/25/2013 We just received word from Ron Boyer that his wife Sandra had brain surgery last week to remove a tumor. She is doing very well. Please keep her and her family in your daily prayers for a full recovery from this surgery. 6/20/2013 Long-time senior softball player, John Warners, the first baseman on the 75 division Pfeiffer auto team passed away last week. I know your prayers as well as ours go out to both the Warners and Pfeiffer auto families for their untimely loss. 5/29/2013 Please keep Brooks Tinsley and his family in your prayers. Brooks Father passed away yesterday. The funeral will be Friday May 31 2013 in Dallas, TX. 4/08/2013 Dan Sweat needs prayers as he has suffered a heart attach. Pray that he has a full recovery. 4/05/2013 Al Meyers passed away on Sunday March 31, 2013. He played for and managed the Redwood City Reds, Remax 55's and the Nor-Cal Blue Jays, he was inducted into the SSHOF in 2003. Please add Al's family to your prays. 2/28/2013 Melissa Linville, daughter of Lossie Laird and step-daughter of Dwain Laird, passed away 2/27/2013. Please put this family in your prayers for comfort and peace. 2/11/2013 With great sorrow, Mickey Matthews, SPA's former National UIC. passed away from a heart attach. Keep his family in your prayer for comfort and peace. Mickey was a very generous person and loved his work. 2/08/2013 Mel Carpenter had surgery and it did not go as well as expected. His spinal column was slightly pierced and he is now in rehab. Pray that Mel recovers completely and that his wife Jackie is comforted during this ordeal. 4/01/2011 Winkey Blackman Shares: ~DEATH~ WHAT A WONDERFUL WAY TO EXPLAIN IT!!!!! A sick man turned to his doctor, as he was preparing to leave the examination room and said, "Doctor, I am afraid to die. Tell me what lies on the other side." Very quietly, the doctor said, "I don't know." "You don't know? You, a Christian man, do not know what is on the other side?" The doctor was holding the handle of the door. On the other side came a sound of scratching and whining, and as he opened the door, a dog sprang into the room and leaped on him with an eager show of gladness. Turning to the patient, the doctor said, "Did you notice my dog? He's never been in this room before. He didn't know what was inside. He knew nothing except that his master was here, and when the door opened, he sprang in without fear. I know little of what is on the other side of death, but I do know one thing... I know my Master is there and that is enough." May today there be peace within you. May you trust God that you are exactly where you are meant to be. I believe that friends are quiet angels who lift us to our feet when our wings have trouble remembering how to fly. 3/01/2011 Miles Sawvel Shares: Recently I overheard a mother and daughter in their last moments together at the airport. They had announced the departure. Standing near the security gate, they hugged and the mother said, "I love you and I wish you enough". The daughter replied, "Mom, our life together has been more than enough. Your love is all I ever needed. I wish you enough, too, Mom". They kissed and the daughter left. The mother walked over to the window where I was seated. Standing there I could see she wanted and needed to cry. I tried not to intrude on her privacy but she welcomed me in by asking, "Did you ever say good-bye to someone knowing it would be forever?". "Yes, I have," I replied. "Forgive me for asking, but why is this a forever good-bye?". "I am old and she lives so far away. I have challenges ahead and the reality is - the next trip back will be for my funeral," she said. "When you were saying good-bye, I heard you say, 'I wish you enough'. May I ask what that means? ". She began to smile. "That's a wish that has been handed down from other generations. My parents used to say it to everyone". She paused a moment and looked up as if trying to remember it in detail and she smiled even more! "When we said, 'I wish you enough', we were wanting the other person to have a life filled with just enough good things to sustain them." Then turning toward me, she shared the following as if she were reciting it from memory. I wish you enough sun to keep your attitude bright no matter how gray the day may appear. I wish you enough rain to appreciate the sun even more. I wish you enough happiness to keep your spirit alive and everlasting. I wish you enough pain so that even the smallest of joys in life may appear bigger. I wish you enough gain to satisfy your wanting. I wish you enough loss to appreciate all that you possess. I wish you enough hellos to get you through the final good-bye. She then began to cry and walked away. They say it takes a minute to find a special person, an hour to appreciate them, a day to love them but then an entire life to forget them. I WISH YOU ENOUGH!